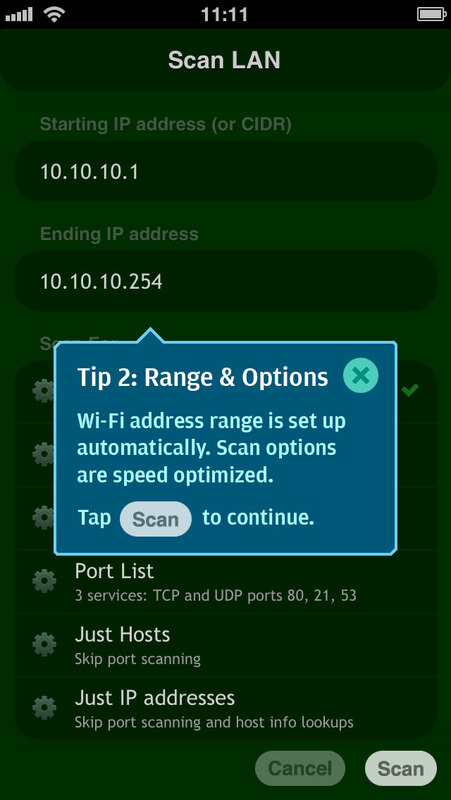 To test if anyone is using your Wi-Fi or LAN you need to scan it for all connected devices — just tap the third icon from the left at the bottom — the IP address range will be detected automatically. 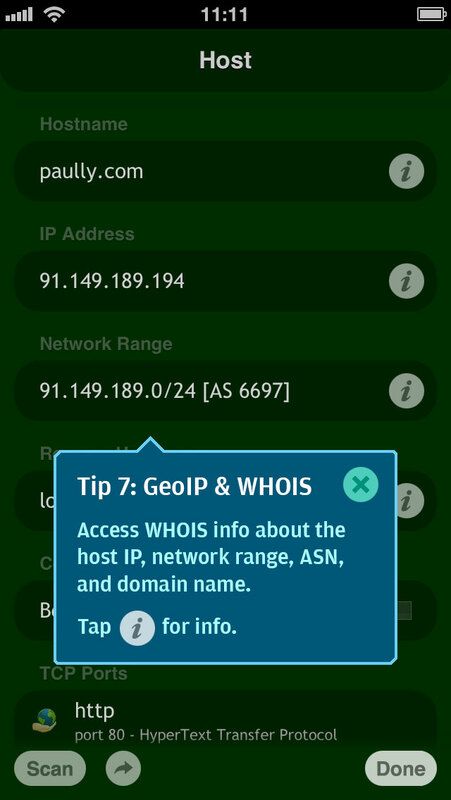 To test if anything unwanted is open on your network to the outer Internet you need to scan the external IP of your router, which can be found in the app’s network information tool accessible via the information button while you are connected to your Wi-Fi. 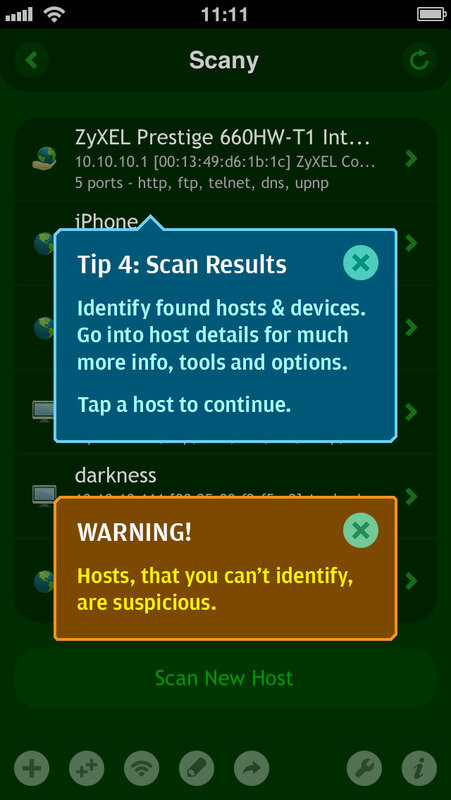 The external IP should be scanned via the cellular connection — don’t forget turning off Wi-Fi before scanning. To run any of the built-in tools you should first add the host with the plus button. New, more convenient UI is in progress.